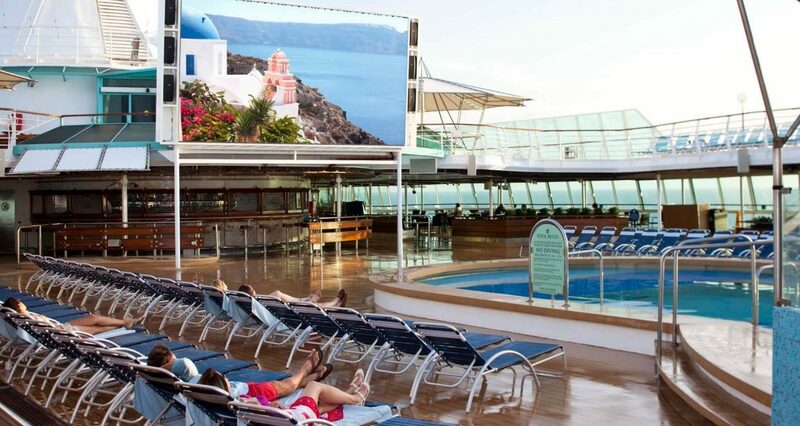 Say so long to boring business meetings. 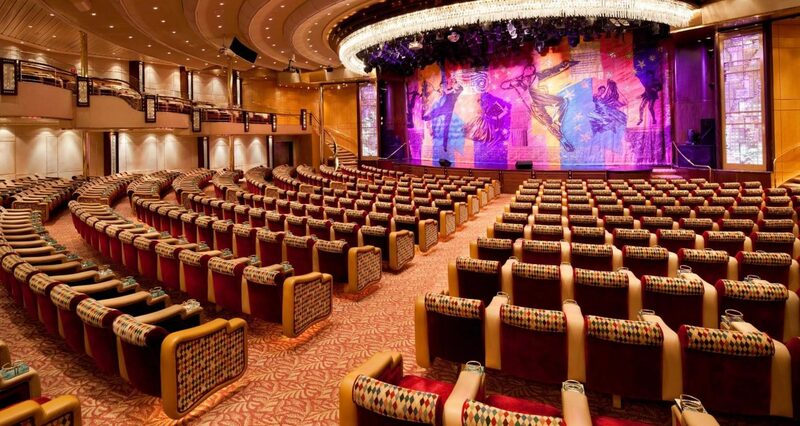 Say hello to cutting-edge facilities, incredible amenities, and world-class entertainment. 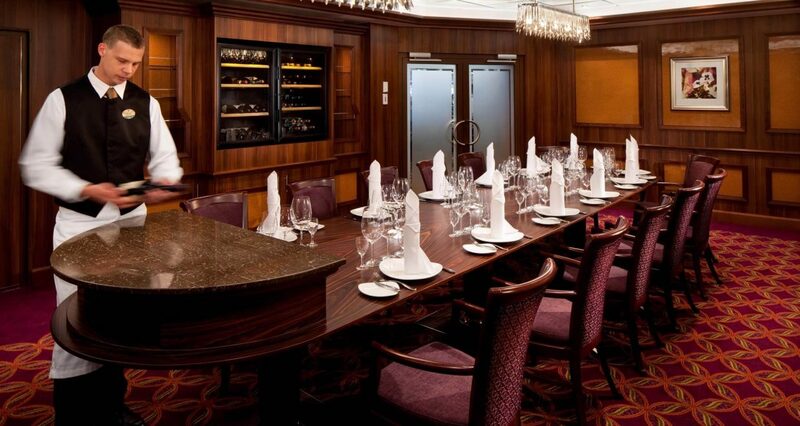 From boardroom to stateroom, prepare to be amazed. 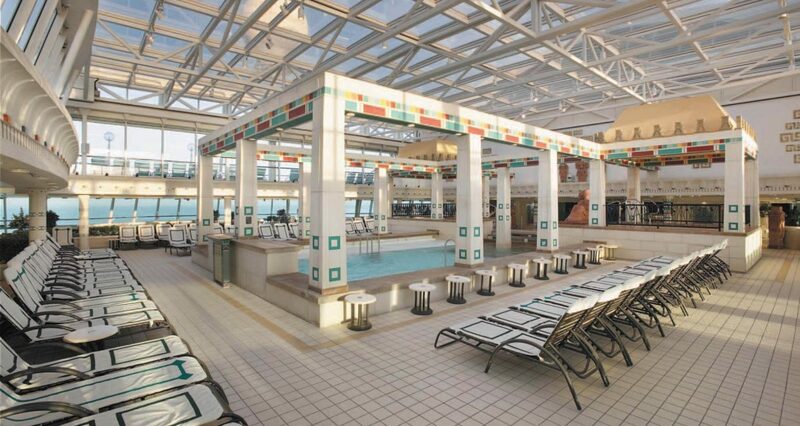 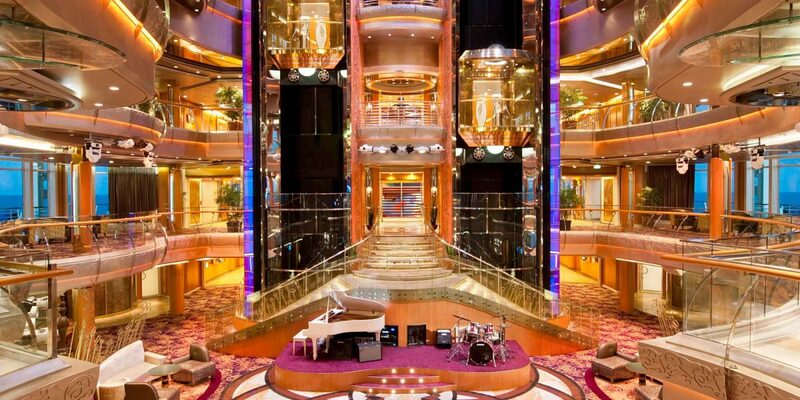 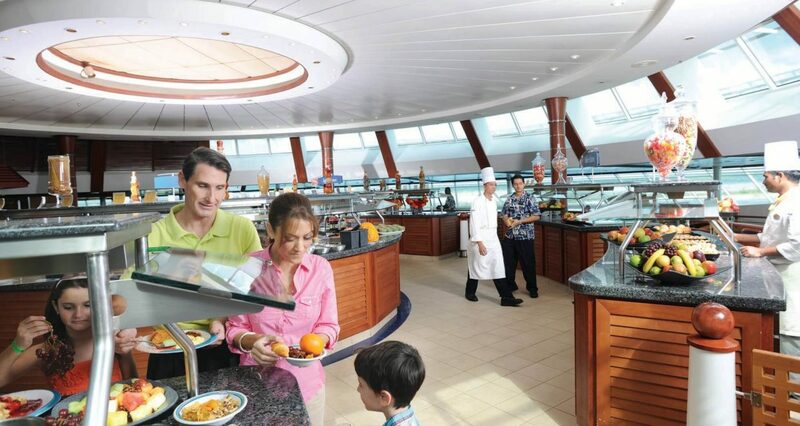 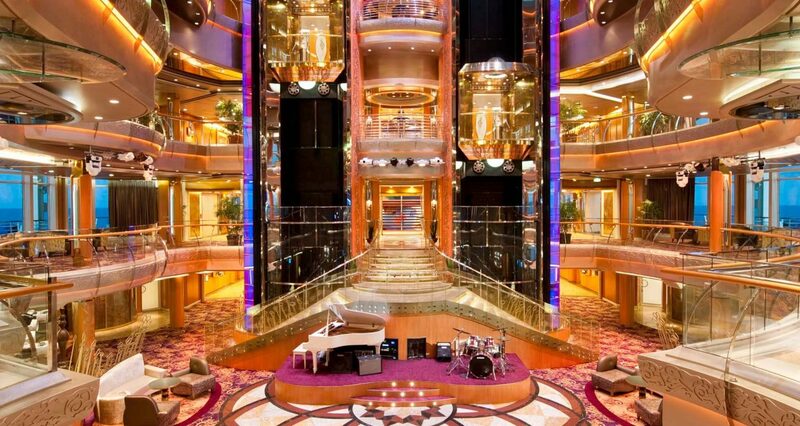 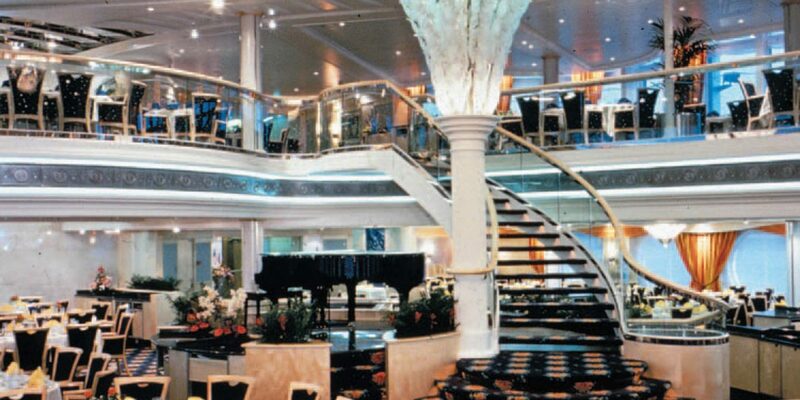 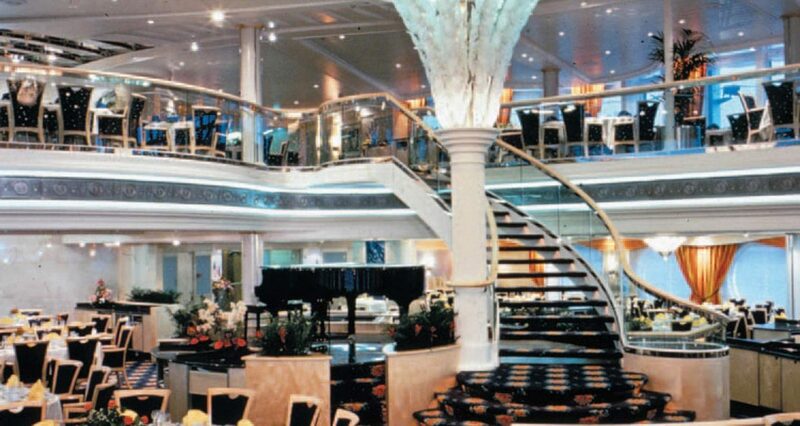 The aptly-named Grandeur of the Seas is sure to impress! 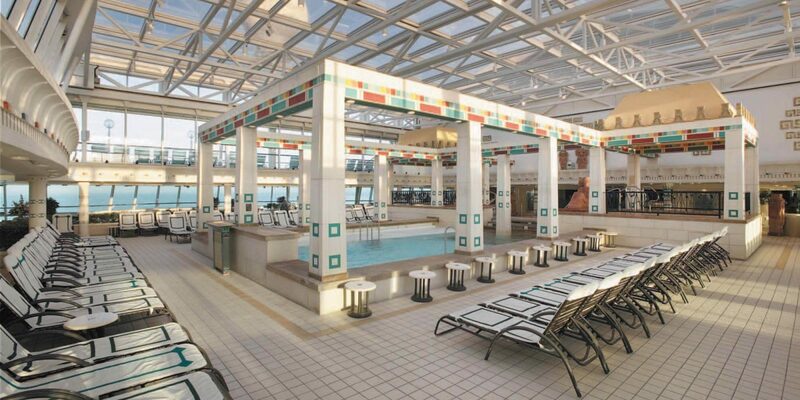 Prepare to be amazed at the acrobat acts 65 feet in midair in the dazzling new six-story Centrum. 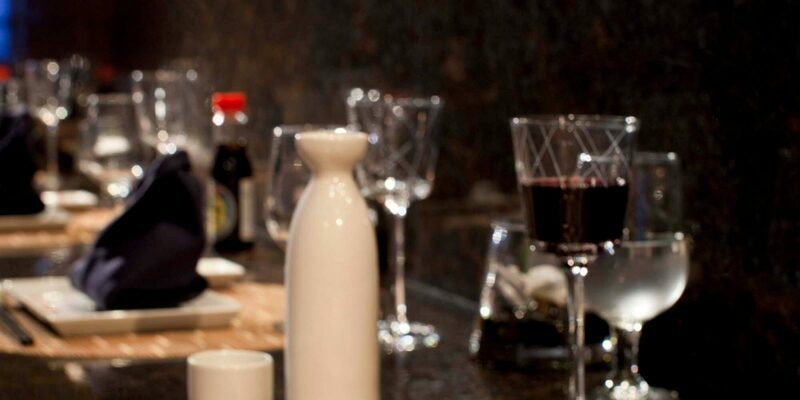 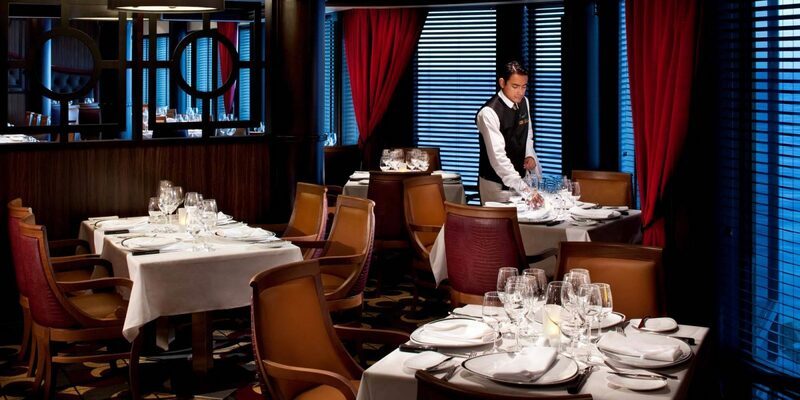 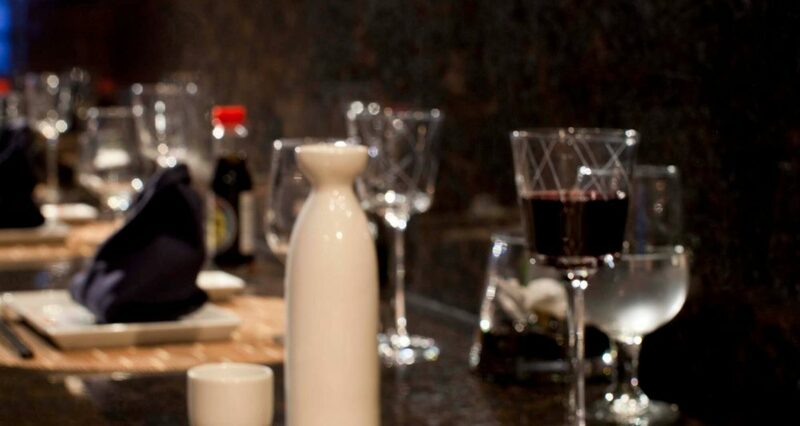 Savor a delicious meal at one of five specialty restaurants, including Chops Grills steakhouse and Royal Caribbean International’s Japanese fusion sensation, Izumi. 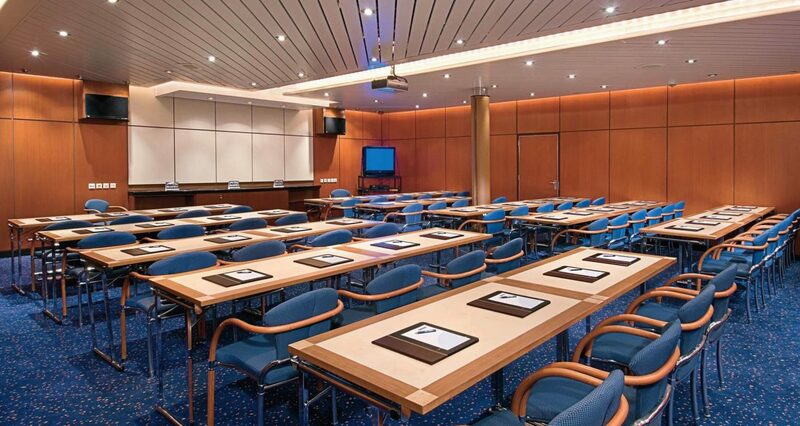 And when it’s time to get down to business, shipwide technology upgrades and cutting-edge meeting facilities let you get the job done in style. 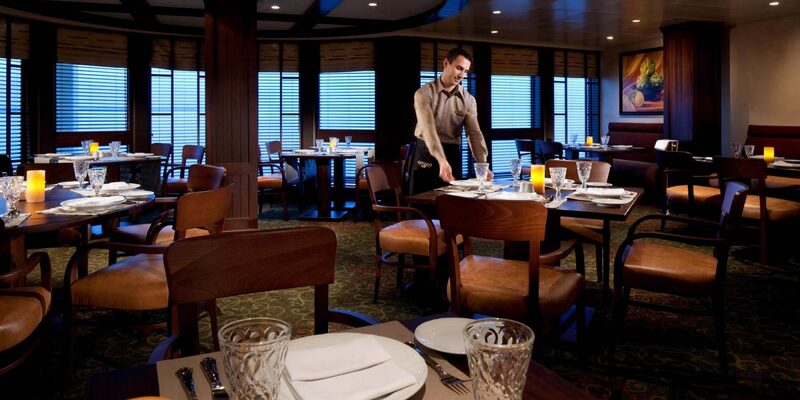 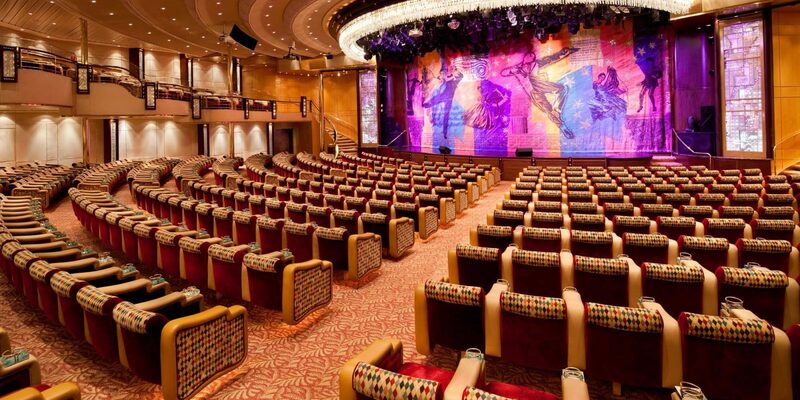 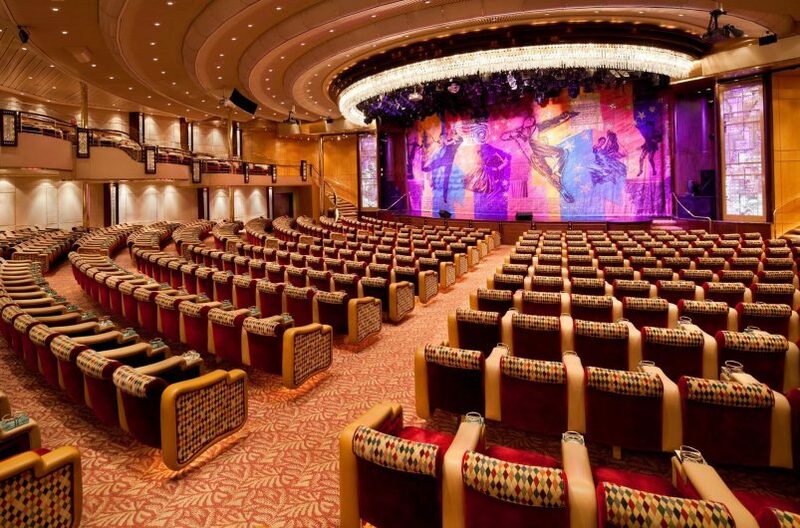 With meeting spaces that can accommodate up to 870 guests, Grandeur of the Seas has your function covered, whether you’re booking an offsite event for a small team or a company-wide retreat. 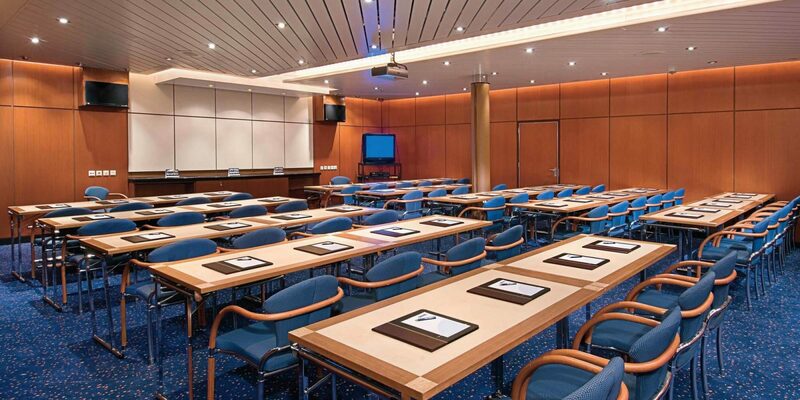 From podiums, speakers, and microphones to plasma TVs, LCD projectors, and pervasive WiFi, state-of-the-art multimedia technology means you can take care of business from anywhere on board. 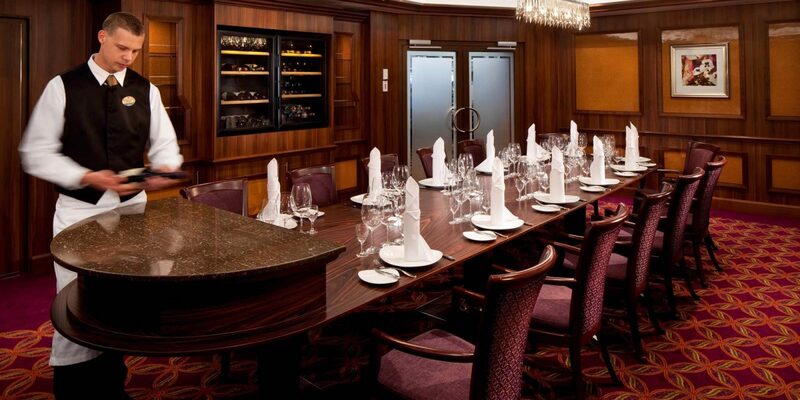 Looking to incorporate some team building into your event? 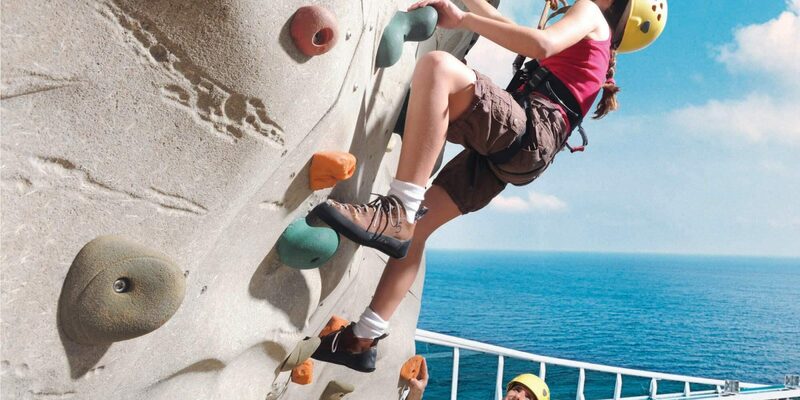 Check out signature amenities like our Rock Climbing Wall, or have some fun with one of our popular organized beach activities. 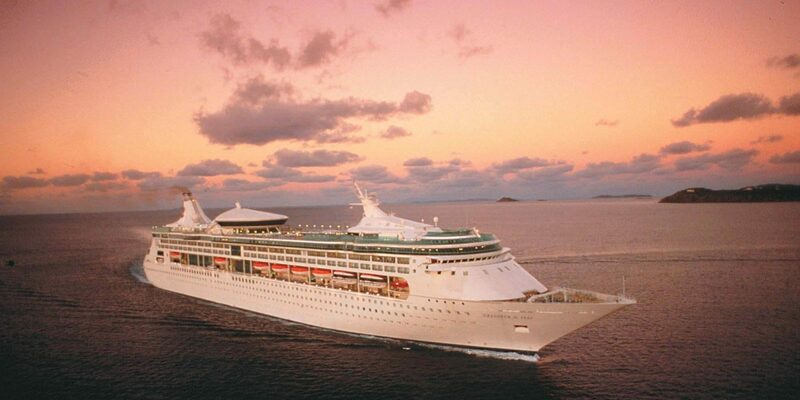 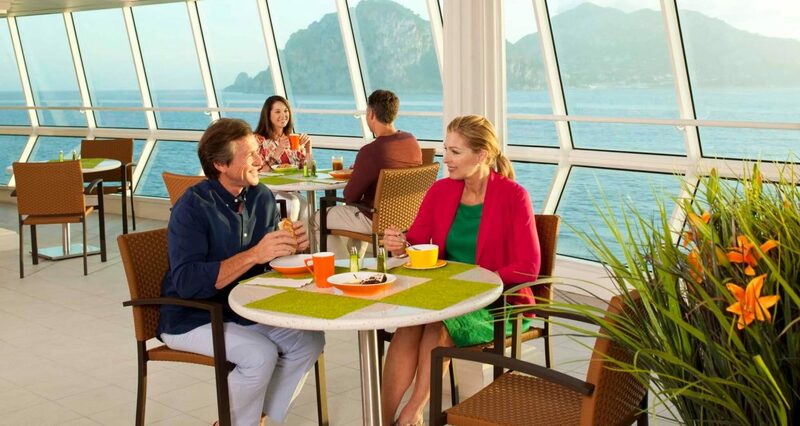 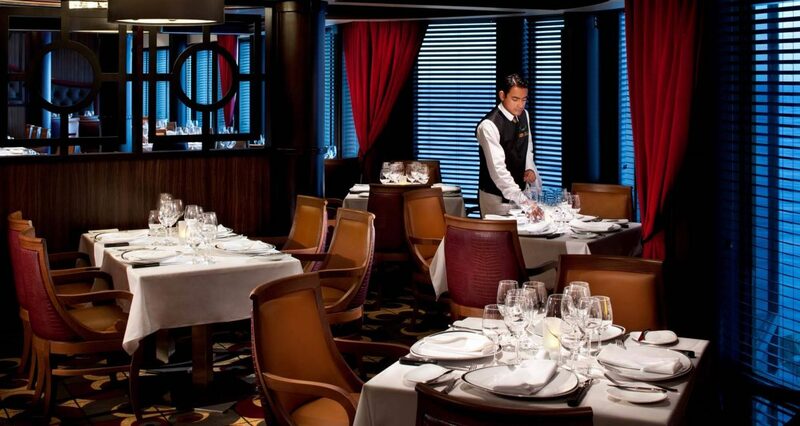 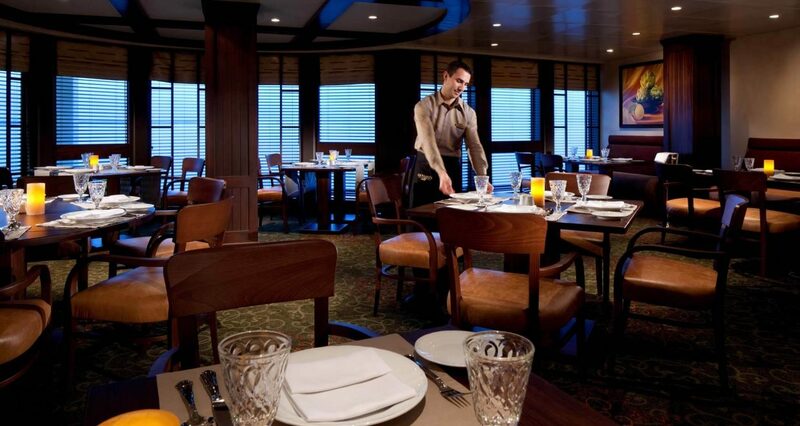 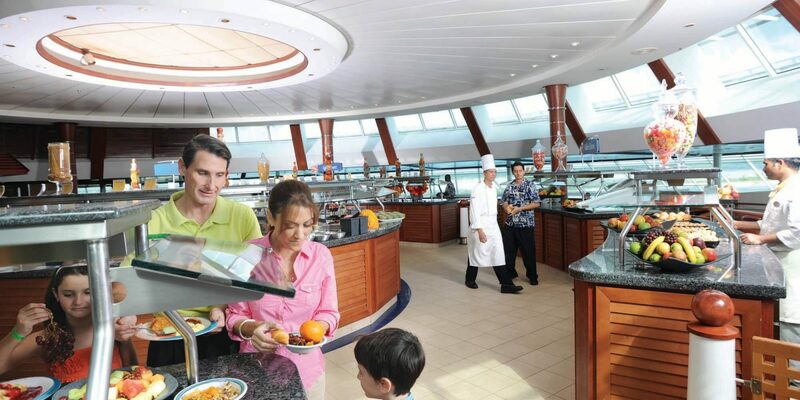 Discover a truly grand cruising experience onboard Grandeur of the Seas. 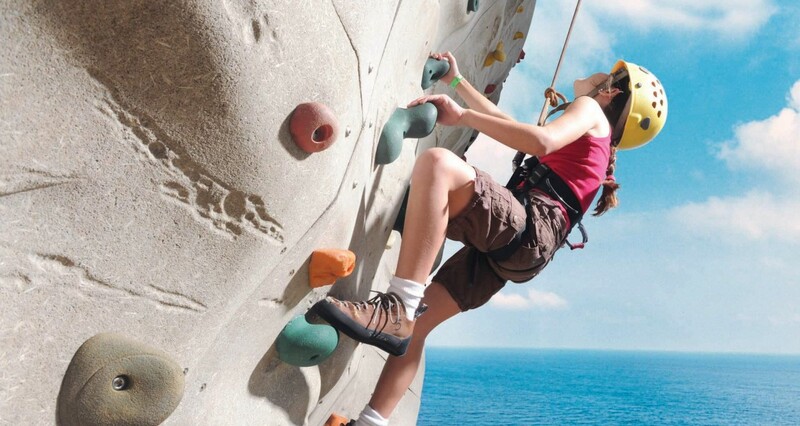 Take your pick of the flavors of the world with 12 dining options, reach for the sky on our signature rock-climbing wall and indulge in some “me time” at the Vitality at Sea Spa.